Filed under: anti-semitism, anti-Zionism, Britain, British Hypocrisy, British Jews, Gilad Atzmon, Jeremy Corbyn, Jewish Lobby, Jewish Power, Labour Party | Tagged: Anti-Semitism Card |	Comments Off on Jazz Clubs are being terrorized by Labour Politicians – enough is enough! The UK’s currently febrile political climate is being dominated by Brexit, as the country’s politicians grapple with the uncertainty created by result of the referendum to leave the EU. The result and its aftermath has also provoked some soul-searching about the UK’s place in the world and increased its dependency on some of its most questionable allies in the Middle East, as Britain grapples with the now very real prospect of life outside the world’s largest trading bloc. 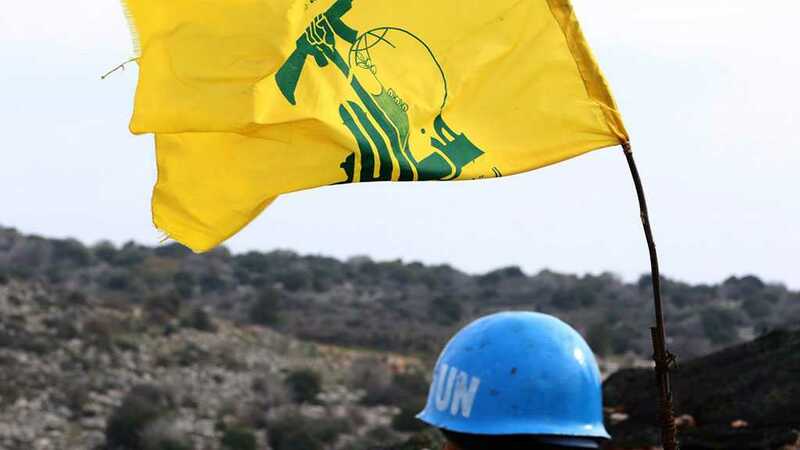 On Monday, Sajid Javid, the British home secretary, said in a statement that Britain would add Hezbollah, the Lebanese political party, in its entirety to its list of banned “terrorist organizations”. Javid said that it was no longer tenable to maintain that there was a distinction between the political and military sides of the group. This decision shines a light on some key developments in both the UK’s domestic politics and foreign policy. Firstly, on the domestic front it represents a crass piece of politicking by ambitious Tory politicians, namely Javid and Foreign Secretary Jeremy Hunt, who are both keen to show, in light of the insecurity surrounding Theresa May’s position, that they would make a plausible prime minister. It is a move that seeks to take advantage of the current debate around anti-Semitism in the opposition Labor party. 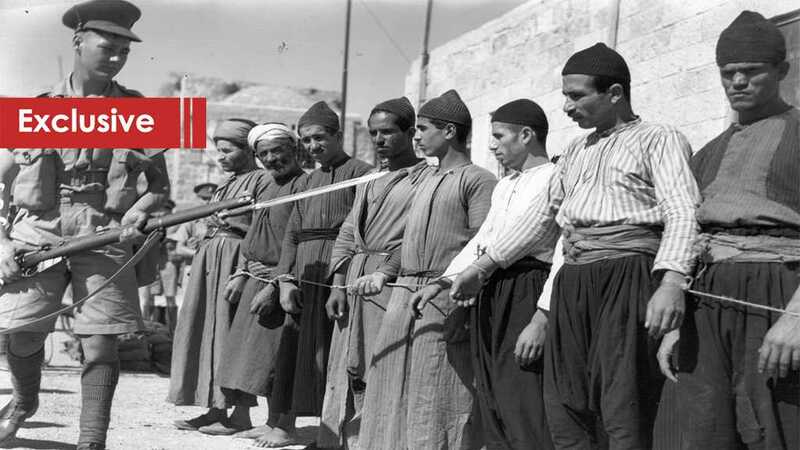 The wrong-headed equating of support for resistance to “Israeli” government policies in the Middle East with anti-Semitism takes advantage of the lack of understanding amongst the UK public and politicians regarding the complexities of Lebanese politics and the wider politics and international relations of the Middle East. That Hezbollah and its allies gained around 60 percent of the popular vote in last year’s parliamentary elections, are essential to Lebanon’s security and stability, and have acted as one of the most effective fighting forces against ISIS, has been lost on British decision makers. Citing Hezbollah as a security threat, when the UK is struggling with the blow-back from its own ISIS recruits demonstrates just how far removed UK decision-makers are from reality. Indeed, British armed forces, according to a Hezbollah official, sought out the movement’s assistance in fighting ISIS in 2015, thus showing the rank hypocrisy that taints almost every British move in the Middle East. The UK’s unwelcome intervention into Lebanese politics shows that any semblance of even-handedness, such as that demonstrated by the UK’s siding with Europe over continued adherence to the Iran nuclear deal in the face of US pressure against Tehran, is merely a charade. The UK inked one of its first post-Brexit trade agreements with Israel, continues to support its Saudi and Emirati allies with lethal weaponry to pursue their brutal war in Yemen, and shores up odious dictatorships in an attempt to boost its virtually stagnant economy. This also begs questions about the integrity of the British foreign office (FCO). One can acknowledge the perverse maneuverings of ambitious politicians as being a motivating factor, but the supposed expertise and impartiality of the foreign office has been severely compromised by allowing such a short-sighted move to see the light of day. Attempts to influence UK foreign policy are sadly following the model that has long predominated over the other side of the pond in Washington D.C.
Now, in London we have the unwelcome specter of lobbying groups with links to overseas regimes, holding events to try and influence UK decision-makers. This can be seen in the moves of organizations such as the Tony Blair Institute for Global Change, an organization set up ostensibly to promote globalization for all. A recent event hosted by the Tony Blair Institute at parliament, aimed squarely at proscribing Hezbollah and involving pro-“Israeli” politicians and lobbyists, shows that the pernicious motives of foreign regimes are finding a place, and potentially a receptive ear in the heart of UK-decision making. It appears that the FCO has followed the politicians and lobbyists’ lead here, and the UK’s waning international reach has forced it into giving a sop to its allies in the Middle East as it desperately struggles to keep itself relevant. What this shows us is that UK foreign policy is open to the highest bidder – something the government department has essentially admitted before – which has serious ramifications for the UK’s mission as a so-called force for good in international affairs. An institution that prides itself on its mission to promote British “values”, through active promotion of democracy, security and regional stability in the Middle East, should not be complicit in a move that is a blatant attempt to secure political capital by key cabinet members. In short it is a move that directly undermines the fragile Lebanese democratic process, thus showing scant regard for the UK’s purported values and will ultimately be counter-productive in terms of UK national security. Legitimate political actors such as Hezbollah need to be engaged, not ostracized. Labor politicians, and indeed any with a modicum of knowledge about the Middle East and who aren’t in thrall to foreign interests, would do well to push back against such misguided politicking. Britain can only be taken seriously if it looks anew at the Middle East and casts off the imperial baggage that continues to cloud its reputation. Recent noises from Labor have focused on plans for moving away from the laser-like focus on interests back towards values. In doing so, current shadow foreign minister Emily Thornberry cited the obfuscating effect that previous UK governments’ obsessions with arms deals had on their ability to comprehend regional developments, particularly in relation to the Shah of Iran. The current government would do well to heed this advice. Seemingly imbued with team self-confidence at having pulled off the most successful covert operation since 9/11, Colonel McCourt has outed herself to a Salisbury local radio station as themystery nurse who first attended to Sergei and Yulia Skripal when they passed out on a bench in The Maltings at 4.15 pm on Sunday 4th March. There was a very good reason for this. Had the credentials and position of Nurse McCourt emergedat the time, questions may have been asked; not the right questions of course, but obvious questions such as why someone with Colonel McCourt’s experience had failed to diagnose the symptoms of nerve-agent poisoning so as to warn emergency and hospital staff of the contamination dangers from contact with the patients. Colonel Alison McCourt was appointed Chief Nursing Officer of the British Army on 1st February 2018. This followed a CBE for her work in charge of the field hospital set up in Kerry Town in Sierra Leone in October 2014 to fight the Ebola outbreak. She would have been acutely aware of the dangers of infection and contamination, and necessity for great care in approaching people displaying unusual symptoms and incapacitation. While the symptoms and treatment for Ebola and other “biological agents” may be different from those of nerve agents and related chemicals, the similarity in the precautions necessary is similar.